Apple is shaking up its Apple TV operating unit with the hire of Timothy D. Twerdahl, the former head of Amazon's Fire TV team who will fill a similar role in Cupertino, a report said Tuesday. Citing sources familiar with Twerdahl's hire, Bloomberg reports the former Amazon executive joined Apple in February to head Apple TV product marketing, a position reporting to worldwide iOS marketing chief Greg Joswiak. Twerdahl served as Amazon's general manager and director of Fire TV operations from 2013 to December of last year, according to his LinkedIn profile. Prior to that, he worked a brief stint on an Internet TV team at Netflix that ultimately became Roku. From 2009 to 2012, Twerdahl was VP of products at smartwatch startup WIMM Labs. At Apple, Twerdahl is expected to take over product development while outgoing Apple TV product lead Pete Distad shifts focus to content deal efforts under SVP Eddy Cue. Apple has long been rumored to launch an over-the-top content bundle for its set-top box, but negotiations with content owners have in large part stymied those efforts. 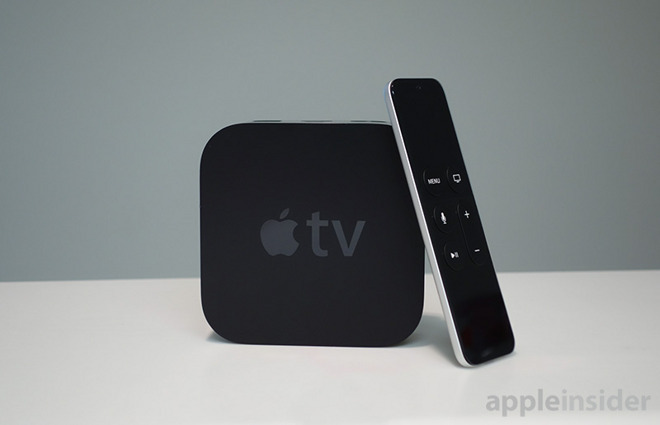 Since the fourth-generation Apple TV launched in 2015, development of the platform has been slow going. Most recently, Apple took baby steps toward integrating a one-stop streaming solution with the debut of TV, an app that acts as a convenient hub for available content.